If you have any questions or want to enquire about dates, use our form to contact Lut Dierckx or see their website for more information. You’d be hard pressed to find as warm as welcome as you will at this 18th-century farmhouse. Set in a rural spot by a livery yard, it’s had great care poured into it by lovely Lut and Bruce, who’ve kept the original features but given it a fresh feel. Bedrooms have well-dressed beds and flowers (hop up to the attic for the single); bathrooms are spotless. Anglo-Belgian breakfasts are plentiful and eaten at one large table. There’s plenty to do: historic Lincoln nearby, bikes to borrow and walks from the door. Return to a stroll in the beautiful garden, an inviting sitting room and a tasty veggie meal – make sure to book ahead. Dinner £25. BYO. Pubs/restaurants 2 miles. Singles £60-£125. Dinner, B&B £25-£30 per person. Lut and Bruce are wonderful hosts in their beautiful home. This is a outstanding place to stay and I can't recommend it highly enough. An excellent all round B&B. Luxury, comfort, quality food and service in a traditional old oak beamed farm house. We visited during some cold weather and came back each evening to an inviting warm lounge with a roaring wood log burner. Beautiful en suite bedroom with modern luxury shower and extremely comfortable large double bed. Large selection of delicious breakfasts. Lut and Bruce are the best of hosts. We could not rate this any higher. We were bowled over by pretty much everything at this really thoughfully put together B and B. We stayed three nights in all and will go again. This is a home from home with absolutely charming hosts as a bonus! Spotlessly clean, good food, good company, historic old house brought sympathetically into the 21st century... what’s not to love? An amazing and welcoming B&B. We loved our stay here, peaceful and enjoyable. Bruce and Lut welcomed us more like friends than guests. We certainly will be back…especially for breakfasts and interesting conversations. We arrived in the early evening and spent a fascinating welcoming chat over a tasty dinner lovingly cooked by L,ut and Bruce. Our comfortable bed in a B&B surrounded by farmland ensured we slept peacefully. And the choice of goodies for breakfast was amazing - a tantalising range of coffee and a sprinkling of Belgian specialities - nicely set us up for a day's exploration of nearby Lincoln. Both Lut and Bruce made us very welcome as if we were old friends. The property was charming with character and the attic bedroom beautifully modernised and decorated with e-suite shower room. We would recommend their property should we or friends decide to visit Lincoln. Lut and Bruce have paid a lot of attention to detail: a beautifully set breakfast table with view of the distinctive brick and tile farm buildings and garden and fields beyond; an extraordinary choice of breakfast items including healthy juices, green or otherwise, Belgian specialities and traditional full English, with three types of coffee and umpteen teas; luxurious bathrooms with towels and gowns; a warm and welcoming guests' lounge with woodburner. Lincoln within easy reach, and superb Doddington Hall for shopping and 'bauble barn' only 10 minutes' drive. Wonderful atmosphere, kind hosts. We loved our stay with Lut and Bruce feeling instantly at home. The B&B was cosy and comfortable and Bruce lit the fire in the sitting room so we could sit and relax before we had the most wonderful dinner cooked by Lut. They were very kind and generous hosts and couldn't do enough to make our stay a good one. Very warm and friendly welcome, delicious breakfast, cosy and comfortable room. Great place with character as a farm now based on horses. Great small Georgian and earlier house fitted out retaining much detail.. but clean and crisp. The owners are interesting and interested. I walked around the fields and enjoyed some countryside that's so far avoided some pretty bland and dense development not so far away... have local developers ever hugged a tree? Apparently not. Recommend heading through the village to take the back route when heading into Lincoln...use latest up to date sat nav.. mine isn't but I found going left when instructed right.. and vice-versa worked for me!. What a great place - we had a lovely room and Lut and Bruce are such genuine, guest-focussed people. It was also the most extensive breakfast menu that I have seen at a B and B. We were sorry to be leaving and would definitely return if we were in the area. Thanks for a great stay, Lut and Bruce! 3 dagen en nachten ondergedompeld in een warm nest. Heerlijk verwend. Dank je wel Lut en Bruce voor je gastvrijheid en het delen van je mooie plek. Warm welcome, delicious breakfast, nice rooms, most generous hosts, beautiful Lincoln area. We can recommend a variety of nice restaurants close by. From very nice pubs serving quality food to different places in town and the area, from cheap to the (more expensive) real foodies restaurants (book well ahead). Drive a 45 min scenic route through rolling beautiful Lincolnshire to visit Easton walled gardens with a lovely tearoom and good quality so shop. 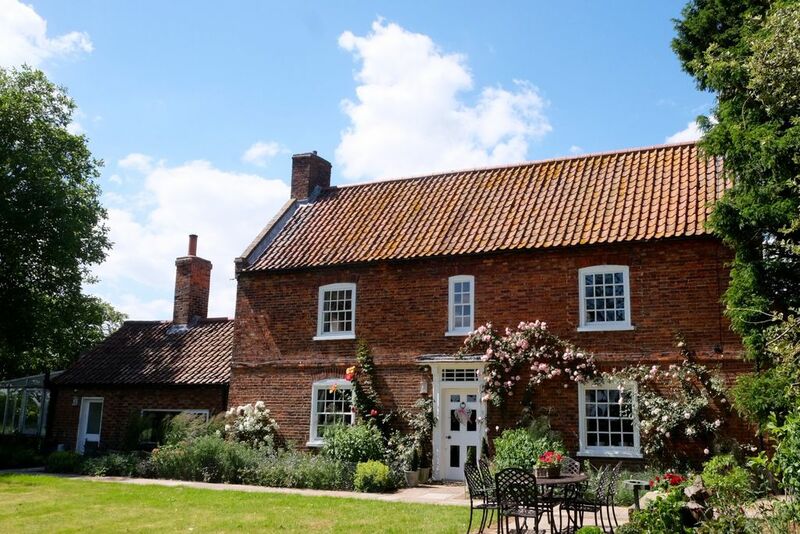 Visit Doddington Hall with its well developed stately home, gardens, award winning farm shop, country clothing and decoration shop, biggest Lincolnshire bikeshop, tearoom, restaurant, walks, events, and why not take part in one of their workshops? Pick a pair out of Lut's welly collection, cross the road and off you are for my swan walk to the river with Lincoln's cathedral in the distance, or walk along the river to Lincoln centre. There are more 'stepping out' walks in the area. Ask for free film tickets (week). Step back in time to enjoy a main screen film at this full time cinema that has been showing films continuously since 1922! A magical place!